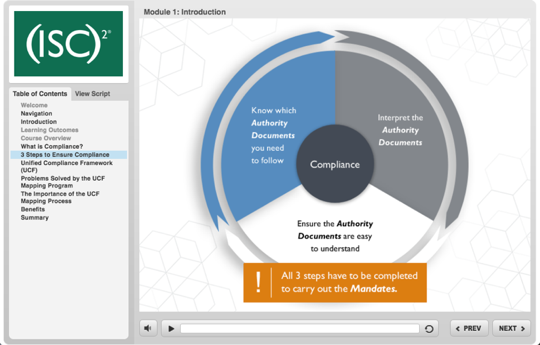 Mapping regulatory guidelines, national standards, audit guides, and other Authority Documents to each other is a complex process. You have two choices; use a professional quality tool to assist you with the mapping or just take a guess at each mapping. 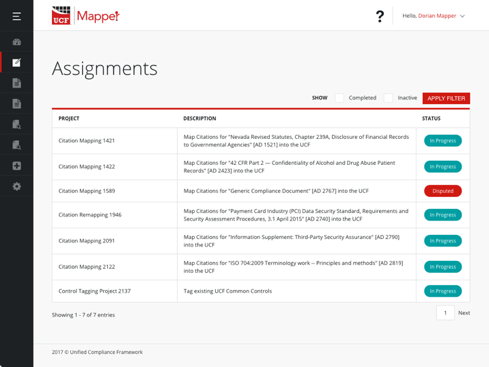 UCF Mapper™ is the only tool that exists for compliance mapping, and now you can leverage it! 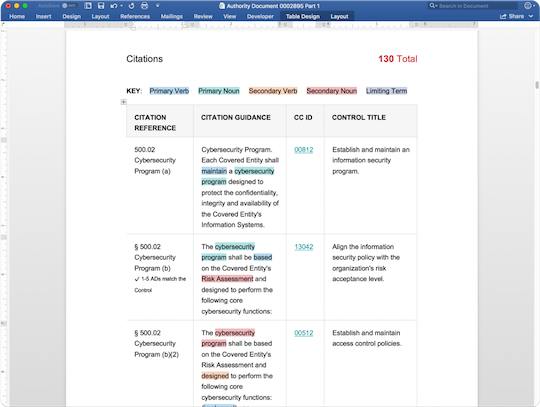 When Authority Documents write long Citations that call for multiple mandates in a long-winded paragraph, the UCF Mapper allows you to tag each Mandate’s primary and secondary nouns and verbs so that you have a clear picture of what is truly required of your organization. With the UCF Mapper, there is no more “guestimation” of what a term means. 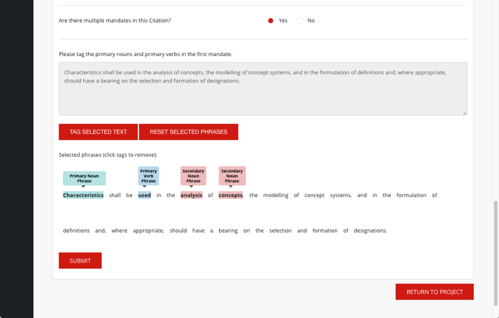 Each noun and verb that has been tagged is linked to the definition that applies to that Mandate in that scenario. 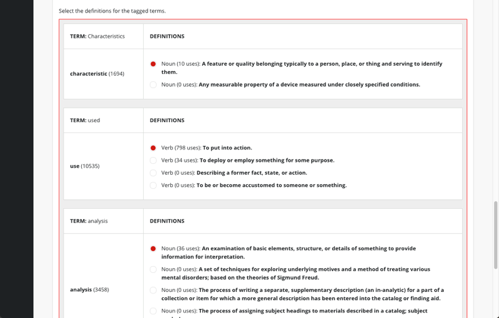 While everyone who is doing this without leveraging a comprehensive dictionary are taking wild guesses at what matches, the UCF Mapper provides scientific methods and patented algorithms that follow ISO standards to match your tagged Mandates to Common Controls. We’ve partnered with (ISC)2 for this training – you’ll be mapping in no time! Professional Compliance Mapping – At Your Service! 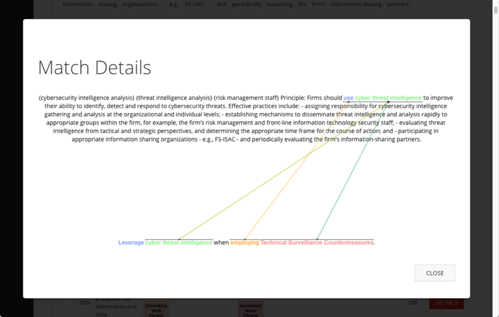 What if your organization doesn’t have the time or the bandwidth to do compliance mapping? They can relax—we’ll do all the heavy lifting; leverage our skill and our years of experience with Unified Compliance Professional Mapping Services!